Kerala : Finance Minister of Congress-led United Democratic Front (UDF) managed Kerala government, K.M. Mani, who has been implicated in a corruption case, refused to resign on the basis of graft charges and created a crisis-like situation causing immense embarrassment to the ruling Kerala government. The Congress-led United Democratic Front alliance in Kerala plunged into a crisis on Tuesday with the 82-year old finance minister KM Mani refusing to resign a day after the state high court ordered further probe against him in a corruption case. Mani represents Kerala Congress(M) which has eight MLAs in the Kerala state assembly, and plays an important role in running the alliance government. He is learnt to have informed chief minister Oommen Chandy about his reluctance to quit, stating, there was no need for him to quit as there was ‘no mention’ against him in the court ruling. Hearing this, the leaders of Congress, which heads the alliance, insisted on his resignation, upon which, Mani made it clear that his party favored the resignation of the entire cabinet, rather than he resigning solo. His voice found support from his party members who too have a say in the Kerala assembly, namely – government chief whip Thomas Unniyadan who too belongs to the KC(M), who added, ‘We will not allow Mani to be singled out and attacked. There is no personal mention against him in the verdict. So there is no need for him to quit now.’ Unniyadan added his party would insist upon all the eight MLAs of KC(M) to resign if the Congress pressed for Mani’s resignation. However, individual KC(M) MLAs had different opinion on this collective quit, as three of the members reportedly disagreed on this. 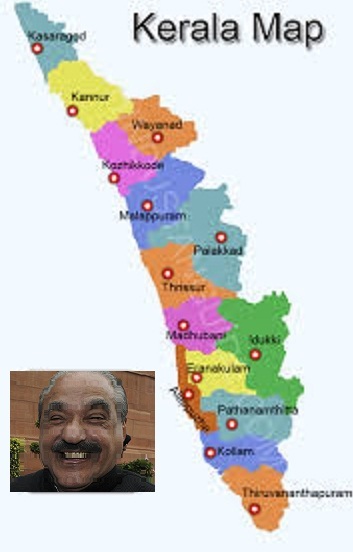 Chandy government has a slender 72-68 majority in the assembly, with elections likely in May next year.Mani, who heads the third largest party in the UDF, is an important player in state politics, and has been an MLA continuously re-elected again and again since 1965. The HC had on Monday, cancelled the clean chit ruling given to Mani by the state vigilance department, and had insisted that the decision on whether to step down was left to Mani. The High court maintained its opinion on the judgement while pulling up the government for spending tax payers’ money to defend a minister who is facing serious charges and stated – The fundamental principle that justice is not only done but should also appear to be done is applicable not to the judiciary alone but equally applicable to the other two pillars of the state. The vigilance bureau, which had probed the case, said in its report the there was no evidence to chargesheet the minister. A vigilance court then ordered a fresh investigation after this was challenged by Opposition leader VS Atchuthanandan, and the probe was subsequently upheld by the High Court.